This is a sponsored post. But all thoughts and opinions are mine. Boy do I wish they had Invisalign when I had braces. Our two oldest children are almost 11 and 8. Needless to say we are having to grow and adjust with their new developmental phases. We have gone through our first maturation class, my husband and I are not the only ones who wear deodorant in the house, and we make monthly visits to the orthodontist. I recall these stages in my own life. Maturation class scared the living begeebers out of me. (I don't even know if begeebers is a word. Probably not). Deodorant made me feel grown up, and braces made me feel vulnerable, ugly and made my mouth hurt. But now in hindsight I am grateful for all three, every day. My mouth was filled with braces for 2 years. They came off when I was 16 and I can still remember how my mouth ached when they were tightened and how smooth and slimy they were when they came off. I have always loved turkey sandwiches. I remember trying to eat one for the first time with braces. It was horrible and the bread and turkey jammed behind each bracket. I didn't eat another turkey sandwich for two years. It was the first thing I put in my mouth when I got them off. Our son has already had his first round of braces. He will have to have another round, full mouth, in a few years. Our daughter will be going in to get her first set of braces in the next two months. Between my braces, my husband, who had braces after we were married, and now our kids, I have had some experience. 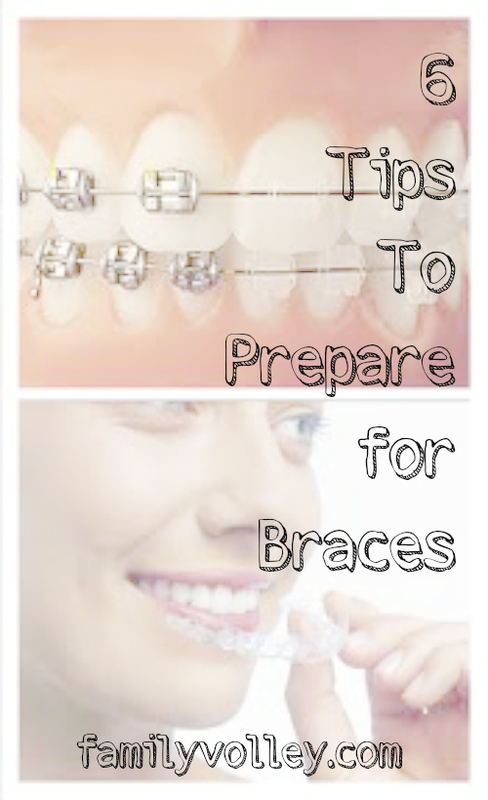 Here are some helpful tips if you or your children are thinking about braces. Whether you are going with traditional braces or new technology like Invisalign, braces are a commitment. For parents and for children. Help your children understand the commitment that is being made before you move forward. My husband and I chatted before he got his braces, and then the two of us sat down with our son and talked about the time and energy that go into braces. We talked through the hygiene commitments, the need to keep appointments and how certain foods needed to be cut out of diets. We also talked about the monetary commitment. The conversation gave my husband and our son a chance to ask lots of questions, express concerns, and better understand the commitment. I even had a friend in high school who had to sign a contract with her parents and orthodontist before she got her braces. Whether you write up a contract or not, sit down and discuss that braces don't just magically take care of themselves. When I got braces, there was just one choice. Braces. Metal mouth and all. Now there are lots of different options. Invisalign is a new alternative to braces and even offers options for pre-teens and teens. The system uses a series of clear aligners made of lightweight plastic that sit smoothly on the teeth. They are comfortable and as effective as traditional braces. Plus, there are no food restrictions, they make it easy to maintain healthy brushing and flossing habits, they don't interfere with sports or other activities, and you can straighten your teach there are no metal wires or brackets to break. Kids can even remove the trays when they eat, brush, or floss. Where was Invisalign when I got braces? Braces take time. The end result is usually years away. Help them see the long term. Your children will need help with their braces. They will need help flossing, tightening things, even brushing and dealing with pokey wires and brackets that rub on sensitive gums. Prepare yourself to be okay with the "hands on". And let your kids know that you will always be there to help. I have heard parents that complain about the things their family can't eat because someone has braces. This just makes our kids feel bad. Don't do it. And don't buy all the tempting treats that have to be given up and keep them in the house, or let the rest of the family eat then while the one with braces can't. Braces seem to be a right of passage for our children. With some preparations and good communication, we can make the experience a good one for our children and families. What food did you miss the most when you had braces? If you want to know more about Invisalign, you can visit their website, follow them on Facebook and catch up with them on Twitter. Hi, lurking reader here - I just want to comment and say that I LOVE Invisalign. I am a 20 year old BYU student. I never had traditional braces growing up - I was told I would not need them - but over time my teeth were becoming more crowded and causing toothaches. It's been three months now and I have no regrets. 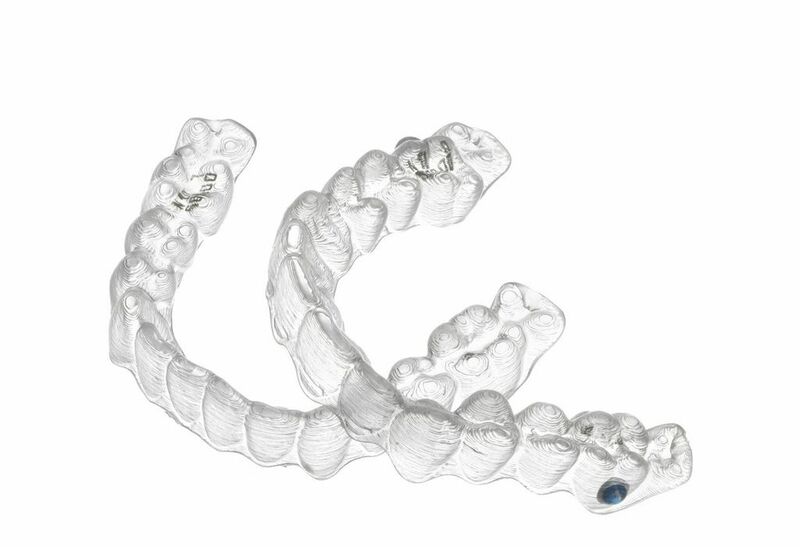 The adjustment period is much easier I think with Invisalign than with traditional braces. The pain is nothing compared to those - so I've heard from those who have had both. They are not actually invisible, no - especially because there are little tooth-colored "attachments" (serve the same purpose as braces brackets) put on some of your teeth to move them - but most people I speak to do not realize they are there unless I tell them so. The aligners themselves do not really show up in pictures. They are definitely a commitment and I spend quite a bit of time cleaning my teeth each day, but it's so worth it! Thank you for saying Hello! I love lurkers. Especially from BYU!!! I sure wish I could have had Invisalign. They weren't a good fit for our son or my husband either, but I am hoping that at least one of our children can go that route instead of traditional braces. They seem to have so many benefits. I love hearing you have had such a good experience with them. Thank you for sharing. If you ever need a GREAT class to take at BYU, I am happy to add you. :) Come say hello! My husband didn't get his braces until he was 30. He always wanted them as a child, but his parents couldn't afford them. Even though it was different to get them as an adult. He is SOOOO very glad he did. You should look into it. There are so many affordable pricing plans, you can just pay a little each month. The other great thing about getting them older, is that my husband hardly ever, if ever, had a broken bracket. Simply being older you are much smarter about what you eat and how you eat. Saves time and money, opposed to kids who seem to always be breaking something. Hey Emily, I am 34 and I just had braces installed 4 days ago. I live in Jamaica so I guess it wasn't a big deal for my folks. I wasn't teased or anything about my teeth and honestly was comfortable with them growing up. I have very spacey teeth. People would tell me I have a nice smile and all that but as I grow older I started to wonder if they were lying because my teeth are so spacious. Yep I never use floss except for when I am at the dentist getting a cleaning lol seriously. I somehow started getting a little but insecure a few years ago, more so withing the pass five years because I started traveling to the USA a lot for work and I started to wonder if it's an underlying reason as to why I don't get asked out on dates and I don't land certain jobs because I have the teeth of a child. Also I only dates guys with nice teeth hoping that if I have kids they don't get my teeth.. Lol. Anywho, I saved my money and decided to get it done this year. Some people keep telling me I don't need and they don't think anything in wrong with my teeth (big lie). It is so obvious. I went to the dentist in November for cleaning and first thing he said was "have I ever recommended for you to see an arthodondist?". Right away that's all the confirmation I needed because I already had the money saved so that was my next step. You should totally do it if it's something you want to do and it's not like you have to pay all the money at once. I didn't want to live with regret not getting mine done. 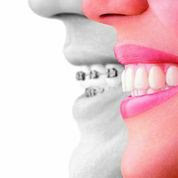 Braces are gift for the persons who can't smile with confidence due to their irregular teeth. I was having irregular teeth earlier. Then I went for Seapoint Clininc Six Month Braces. Now I am having a good and impressive smile with full of confidence. Hi - just found your blog. Your children are probably six months and four months into the braces experience, so I hope they're adjusting well. All three of my daughters needed braces, so eventually my youngest and I started creating special "tender teeth" versions of a lot of her favorite foods. I even went back for adult braces at age 53 (!) because I had a gap open up in my lower teeth after years of not wearing my retainer. (Now I do it every night, and make sure my girls do, too.) You're so right about the importance of keeping up with brushing and flossing; my favorite little "tool" to carry in every pocket and purse was a proxabrush (GUM Butler makes them, as do some other companies). Best wishes with the adventure.